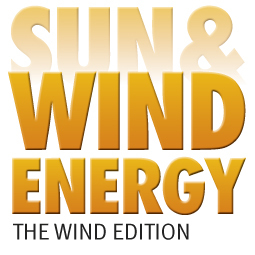 "New ideas, Solutions and optimization of wind power forecasting." All registrations must be submitted online. Requests to register via e-mail, fax or phone cannot be taken into consideration: all participants must register through the online registration procedure. Shared registrations are not permitted. Fees are quoted in Euro (€) and per participant. If participants are found to be ineligible for the membership and/or other discount under which they have registered, EWEA reserves the right to audit or adjust the registration fees applied. All prices exclude the Swedish VAT rate of 25% applicable to registration fees. EWEA member: Only direct members of EWEA, having paid their 2014 membership fees, can benefit from the member registration fee. If you are not a member yet and wish to benefit from the discount, please submit your membership application before registering. Academic/NGO/Non-profit: Available to those with a current full-time position at an educational institution/NGO/non-profit organisation. An official letter from the institution/organisation confirming the full-time employment status needs to be provided. This document should be uploaded during the registration process. Without this document, EWEA reserves the right to proceed with non-member (or member if applicable) registration and charge the corresponding registration fee. Student: Student registration requires proof of status in the form of a copy of valid 2014-2015 student ID card or an official letter from the educational institution confirming that the registrant is a full-time student at time of the event. This document should be uploaded during the registration process. Without this document, EWEA reserves the right to proceed with non-member (or member if applicable) registration and charge the corresponding registration fee. Oral/poster presenter:Discount only offered to oral/posters presenters who take part in the conference programme at the EWEA Technology Workshops. If you register with this discount and later cancel your presentation, EWEA reserves the right to charge the full amount for your registration. EWEA membership fee will be applied and a member company will appear in the relevant list only if all membership payments have been made and if the organisation is an EWEA member at the date of the event. The processing time for new membership contracts is two weeks. If the membership status is not valid at the date of registration (either due to non-payment or contract processing time), the non-member fee will be charged and any reimbursements made only after receipt of the membership payment. EWEA is aware that your business environment is continuously changing, and our aim is to support you with a flexible approach when it comes to EWEA event registration cancellation. However, please keep in mind that we commit expenses for each participant well in advance of the workshops and we must strictly adhere to the outlined cancellation and refund policy. Cancellations received on or before 28 November 2014: refund of fee minus an administrative fee of € 75 (+ 25% VAT). Cancellations received after 28 November 2014 or no-shows: no refund will be made. There will be no refund to participants not attending coffee breaks, luncheons or evening functions included in the registration fees. All refunds will be processed after the event. Any refunds to credit card payments may only be credited back to the original credit card. Substitutions are permitted at any time and at no cost. Substitutes must work for the same company as the original registrant and invoicing information must stay the same. E-mail your substitution requests to [email protected]. Upon completion of your online registration, you will be sent a confirmation by e-mail. Please note that the confirmation will be sent to the e-mail address provided on the registration form. This confirmation will include a link to your PDF invoice. Payment by credit card is the only method of payment accepted. Payment will be processed during the online registration procedure. The online registration platform is a secured site. VISA and MasterCard are the only credit cards accepted. Credit cards will be debited in Euro (€). No cash payment will be accepted onsite. Swedish VAT is applicable on the registration fees (25%). Please note that VAT on registration fees paid by companies and other taxable entities can only be reclaimed if the client’s VAT number is mentioned on the invoice. If applicable, please fill out your company’s VAT number in the corresponding section on the registration form. Only a digital version of invoices will be sent to participants upon completion of the online registration. The invoice will be issued using the billing details provided on the registration form so please make sure you have provided us with the correct information (company name, address and VAT/TAX ID number if applicable). An administrative fee may apply if invoices have to be re-issued due to information changes. Participants must have registered and paid the required registration fees before requesting an official letter of invitation. Please note that EWEA will not be able to contact or intervene with any Embassy or Consulate office on behalf of a participant. EWEA will not accept any responsibility for travel, accommodation or other costs occurred in case participant’s visa application is declined. EWEA reserves the right to photograph and videotape all EWEA events and participants and to use such photographs and videos in any internal and external communication referring to EWEA events, including, but not limited to, its websites and mobile application, social media pages, in the EWEA Daily newspapers, EWEA Programme, newsletters, Event Guide, and in its annual reports. You hereby consent to such uses. By registering to this event, you agree that your personal data will be processed by the European Wind Energy Association (EWEA) asbl/vzw (Rue d’Arlon 80, B-1040 Brussels, Belgium) for registration and handling purposes, and to send you information in connection to EWEA events. If you do not submit the data indicated as ‘required’, we cannot complete your registration. EWEA’s selected partners may also use your contact details for direct marketing purposes, provided that you opt-in to receive such information when completing the registration form. You further agree that your personal data may be made transferred to countries outside the European Economic Area, such as the US. You have the right, on request and gratuitously, to object to the processing of your personal data for direct marketing purposes. You also have the right to access and rectify your personal data by writing to [email protected]. EWEA may not be held responsible for any loss, injury or damage to any property, whatever the cause may be. Liability of persons and enterprises providing means of transportation or other services, however, remains unaffected. Should, for any reason outside the organisers’ control (including but not limited to acts of terrorism, extreme weather conditions and/or industrial action) the venue or speakers change, or the event be cancelled, the organisers will endeavour to re-schedule, but shall not be held responsible for any costs, damages or expenses incurred by registrants. If for any reason the organisers decide to make material changes to this event, they are not responsible for airfares, hotels or other costs incurred by registrants. The customer takes part in the event, all tours and trips at his own risk. Further, the organisers may not be held liable for any costs or damages incurred resulting from acts outside of their control including but not limited to force majeure, strikes and/or public manifestations. Only written arrangements are binding. The sole legal venue is Brussels. Registration of a participant entails acceptance of these conditions.